One fateful night, after a full day of conference talks discussing Nasa's plans to start exploring other planets for signs of life, renowned US astronomer Carl Sagan and three fellow scientists did what most people do at the end of a conference. They met up at the hotel bar for dinner and drinks. It was 1958, the early days of Nasa. Just a year prior, Russia had launched Sputnik, kickstarting a decades-long space race between the US and Soviet Union. Sagan, from Harvard, along with Yale biophysicist Harold Morowitz and microbiologists Wolf Vishniac of the University of Rochester and Kimball Atwood of the University of Illinois, were among the handful of top scientists that the newly formed agency had recruited to consider where exactly the US should begin its search for extraterrestrial life. Of the two most accessible planets — Mars and Venus — Mars was the fan favourite. But what brought Sagan and his colleagues together that night was their love for the underdog. Venus, they thought, was being unfairly overlooked. 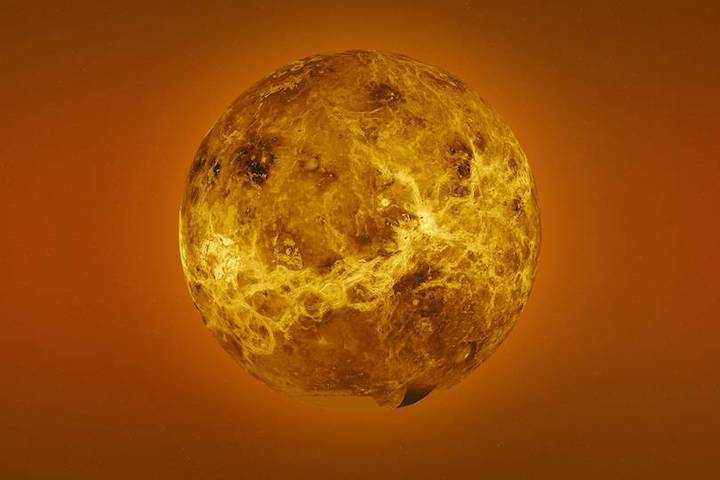 During the first cocktail, Morowitz wrote in 2011, the group wondered whether there could be a layer of Venus’ dense atmosphere that was moist and temperate enough to supply the conditions that, they all agreed, were necessary for life. Despite having sent more than a dozen spacecrafts to Venus — from the first lander, the Soviet Union’s Venera 4, which touched down in 1967, to the most recent orbiter, Japan’s Akatsuki, which has been operational since 2015 — researchers have just begun to penetrate the planet’s many mysteries. But, even decades after Sagan’s passing, the desire to search for life in the clouds of Venus remains. Propelled onward by promising discoveries here on Earth — such as colonies of bacteria found in acid ponds and active volcanoes, the likes of which just might be able to withstand the fiery temperatures of Venus’ atmosphere — a team of scientists is mapping out a mission to Venus that would allow them to collect data and samples of its clouds. Nearly a decade after that first conversation, Sagan and Morowitz published a paper in the journal Nature that posed the question: “Life in the Clouds of Venus?” In it, they imagined roundish, thin-skinned organisms filled with hydrogen. Roughly the size of a ping-pong ball, these creatures would hover in a habitable layer of the atmosphere — above the planet’s fiery surface and below the topmost layer of its cold, arid clouds. To survive, the organisms would have a “sticky underside” to collect minerals blown up from the surface of the planet and ingest droplets of blowing water and rain. Yet it remains unproven. It’s one of the great unsolved mysteries of our closest neighbour and so-called twin planet. It appears in various forms throughout scientific literature, with researchers — most notably, Charles Cockell at the University of Edinburgh, Dirk Schulze-Makuch at Washington State University, Louis Irwin of the University of Texas-El Paso, Mark Bullock at the Southwest Research Institute (SWRI), and the Planetary Science Institute’s David Grinspoon — examining and re-examining the theory from various angles. A common thread throughout this scientific “tug of war”, as SWRI atmospheric scientist Kandis-Lea Jessup puts it, is a notorious feature of Venus’ clouds called the unknown ultraviolet absorber. First seen in early photographs of Venus taken at Mount Wilson Observatory in California in the 1920s, a series of dark patches —concentrations of sulfur and some unidentified light-absorbing substance — has long captured scientists’ imaginations. Is this apparition caused by a billowing cloud of graphite dust, they wonder, or tiny jets of chlorine gas? Could it be some kind of extraterrestrial life, or something else entirely? The trouble is, scientists have had few opportunities to try to answer these questions. Just like in Nasa’s nascent months, Mars continues to be the favoured planet for space exploration. Agencies worldwide have approved missions to Mars at a much higher rate than those investigating Venus. Over the years, there have been nearly two dozen successful Venus missions. The Soviet Union’s Venera 4 lander, launched in 1967, was the first spacecraft to make it to the planet’s surface. Radar onboard Magellan, launched by Nasa in 1989, mapped 98 per cent of the planet’s surface. Venus Express, the European Space Agency’s first foray into Venus exploration, launched in 2005 and collected atmospheric data for nearly a decade. Most recently, in 2015, Japan inserted Akatsuki into Venusian orbit — and it’s on track to collect an unprecedented amount of atmospheric data. But for every Venus success story, approximately three times as many spacecrafts have made it to Mars. The reasons for this disparity aren’t entirely clear. But we do know that the environment on Mars is much more temperate than Venus. Hellishly hot, dimly lit, highly pressurised, and smothered with thick clouds that rain sulfuric acid, it’s not a very appealing destination for human visitors. These conditions pose a literal barrier to entry, too. Venus’ dense atmosphere (made up almost entirely of carbon dioxide) obscures our view of the planet at most light wavelengths, making it difficult to manoeuvre a spacecraft through or below the clouds. Despite its less-fortunate treatment in the past, there are signs that Venus may still get its moment. Japan’s Akatsuki orbiter continues to send back data for scientists to pore over and teams of researchers in the US have proposed at least ten missions to Venus. There are also a few proposals from Europe, and both India and Russia have missions in development that are slated to launch in the next five to ten years. As for the search for life in the clouds of Venus, a paper published this autumn in the journal Astrobiology by a team led by Sanjay Limaye at the University of Wisconsin-Madison presents an argument for how and why it ought to be pursued further — now more than ever. And it hinges on data we’ve been able to uncover here on Earth. Scientists have studied Earthly microbes extensively—from the harmful algae blooms that flare up on the lakes near Limaye’s home in Wisconsin each summer, to phytoplankton covering thousands of square miles in Norway’s Barents Sea. Some of them, the authors point out, have biosignatures that look similar to the mysterious light-absorbing feature seen in Venus’ clouds. Why then, they ask, couldn’t some kind of Venusian algae be adrift (and alive) in the planet’s clouds? SWRI’s Jessup, who was not involved in Limaye’s study, has been investigating the atmospheric chemistry of Venus and other celestial bodies for more than 20 years. The amount of astrobiological research that scientists have achieved in recent times on Earth, especially in extreme conditions, she says, has greatly improved the possibilities for future Venus research. “A lot of people have had this attitude that it’s not possible for there to be life on Venus; it’s just so hot and miserable,” says Jessup. But as we continue to learn more about how life evolves and thrives in extreme conditions on Earth, she says, from microbes that live “in CO2 and H2O, and in the depths of volcanoes, and at these really, really cold temperatures in Antarctica,” it broadens our perspective of what might be possible on Venus or other parts of the Solar System. To definitively prove Sagan’s theory, or rule it out as a possibility, Limaye’s team is determined to collect samples of Venus’ atmosphere. One possible vehicle is the Venus Atmospheric Maneuverable Platform, or VAMP, an aircraft built by Northrop Grumman Corp. VAMP is designed to drift through the clouds like a blimp, collecting atmospheric data and samples for further study back on Earth. It would launch with a planned mission to Venus — such as Venera-D, the Russian orbiter and lander set to deploy in the late 2020s — and remain aloft for up to a year. But these are ambitious goals, especially considering that no balloon has spent more than a couple of days in the atmosphere of Venus. But it’s a worthy ambition. Of the many legacies that Carl Sagan left behind, he was above all a champion of scientific inquiry.